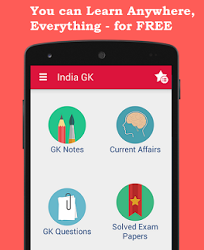 29 August 2016 Current Affairs MCQs, Quiz, Questions: Current Affairs for August 2016, Daily Multiple Choice Questions (MCQs) for India GK, World GK and current affairs with Collection of daily objective type Question by www.Indiagk.net based on General Knowledge (GK) and General Science (GS) Questions for UPSC, State PSC, SSC, Police exam, Railway exam, SBI, Bank PO, IBPC, SSC, LDC, UDC, Army, Airforce, Navy, Coast Guard, Bank Clerk, TET and all entrance examination with current affairs News, Multiple Choice Questions (MCQs) available on Website www.IndiaGK.net and Android Apps with daily updates:. R. Muthukumaraswamy recently appointed as the Advocate General of which state government ? 128th Edition of Durand Football Tournament begins on 28th August in Which City ? MP Rajeev Chandrasekhar seeks probe in Rs 12488 crore Telecom Scam by which Operator as per CAG Report ? Who launches 'Mera Aspataal / My Hospital' initiative on 29th August ? Htin Kyaw and PM Modi meet on 29th August 2016. He is President of which country ?